The WaveXpert can be used to record and analyze WLAN transmissions (with Wireshark) that are exchanged between two or more participants in his environment. WLAN transmissions according to the international standard IEEE 802.11a/b/g/n/ac can be recorded. WLAN devices whose transmissions are recorded are, for example for mobile devices such as notebooks, smartphones or PDAs, but also permanently installed equipment such as WLAN access points, WLAN printers or PCs with WLAN cards. 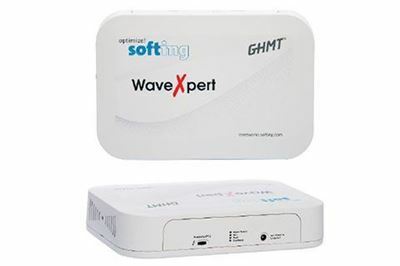 WaveXpert 2 (5GHz, 4 channels with 20/40/80/160 MHz and up to to 4x4 MIMO).